Shimkin graduated from Urbana High School in 1962, then attended the University of Michigan where he majored in history. He left college in 1965 and became an activist in the Civil Rights Movement, first with the Northern Student Movement in Alabama, then with the Mississippi Freedom Democratic Party (MFDP). In Alabama, he was in the "Turnaround Tuesday" march led by Martin Luther King, Jr., from Selma to the Edmund Pettus Bridge and was arrested twice in Montgomery. In Mississippi, he was among 140 demonstrators arrested in Natchez on October 2, 1965, and detained three days at Parchman State Prison Farm, where he and others were kept naked in cold cells with no bedding. He wrote an eight-page "Natchez Political Handbook" outlining the local political structure and the right to demonstrate. ^ Shimkin's nickname sometimes appears as "Alec", as in Lynda Zimmer, "Urbana Class of '62 reunites; alum on trail of classmates," The News-Gazette, Champaign-Urbana, Illinois, July 26, 2008. ^ Shimkin's father was born in Siberia and emigrated with his family after the October Revolution. See Demitri Shimkin obituary, The New York Times, December 25, 1992, and L. Daniel Myers, "Memorial to Demitri Boris Shimkin," Journal of California and Great Basin Anthropology, (17)1, University of California Merced, 1995, pp. 1-4. Shimkin's paternal uncle was cancer researcher Dr. Michael B. Shimkin (1913-1989). See Dr. Michael B. Shimkin obituary, The New York Times, January 20, 1989, and Michael B. Shimkin, University of California: In Memoriam, 1989. ^ Oral history interview. Shimkin was interviewed in 1965 in Jackson, Mississippi, about his civil rights experience by KZSU, Stanford University's student radio station. ^ Turse, Kill Anything That Moves, p. 248. ^ In Memoriam: Urbana Class of 1962. ^ a b c d Oral history interview. ^ Oral history interview. Shimkin called this "the great U-turn that Dr. King led." 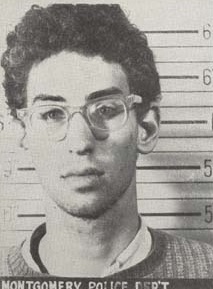 ^ Information that accompanies Shimkin's archived booking photo in the Alabama Department of Archives and History indicates his affiliation with the Northern Student Movement and that he was arrested on March 18, and March 22, 1965, each time for disobeying police orders. ^ Description: University of Georgia, Civil Rights Digital Library, Record Number 1111. Facsimile: University of Southern Mississippi Digital Collections. Shimkin wrote a similar voter guide for the 1967 elections in Holmes County. Sojourner, pp. 231-232. ^ Freedom Information Service Mississippi Newsletter, no. 1, June 22, 1966, p.3. Facsimile accessed October 23, 2012, through the University of Georgia Civil Rights Digital Library. ^ Goudsouzian, pp. 51-53. One of Shimkin's companions from Quitman County, a 58-year-old African American named Armistead Phipps, died of heart failure during the march. "He was a decent Christian man," Shimkin said of Phipps. "I feel honestly that if he'd known he was about to die he would have done it this way." ^ Logan and Frate in E. Shimkin et al., p. 9, and D. Shimkin in Eaton, p. 96. Logan and Frate cite a 1968 report of the United States Commission on Civil Rights that shows a jump in nonwhite voter registration in Holmes County from 20 to 6,332 following enactment of the Voting Rights Act of 1965. Political Participation (PDF). Washington, D.C.: United States Commission on Civil Rights. 1968. pp. 244–245 (Table 9). Retrieved December 8, 2012. The registration effort contributed to the election of Robert G. Clark, Jr., the first African American in the Mississippi House of Representatives since Reconstruction. ^ Logan and Frate in E. Shimkin et al., p. 11. This was called the "Mississippi Pilot Project." All but three of the students completed their undergraduate work. Shimkin also launched a drive on the University of Illinois campus that raised $1,325 for needy Mississippi children. Dan Balz (January 13, 1966). "Interfaith Drive Nets $1,325 To Help Mississippi Children". Daily Illini. Champaign, Illinois. p. 2. Retrieved September 30, 2014. ^ E. Shimkin et al., p. ix. "Government" was the name that Indiana University used at the time for its political science program. ^ Lee, Tom (November 3, 2011). "Laos List Alphabetic Roster: Who Was There, 1945-1975". Retrieved November 14, 2012. ^ Emerson. In 1978, Ba Chúc became the scene of further tragedy when over 3,000 Vietnamese civilians were killed there by forces of the Khmer Rouge in what became known as the Ba Chúc Massacre. ^ a b c Memorial website in honor of Gloria Emerson: A Letter from Ronald Moreau in Islamabad (Newsweek Magazine) Tuesday, September 28, 2004. ^ Ronald Moreau later became the correspondent for Newsweek and The Daily Beast in Afghanistan and Pakistan. He died May 13, 2014. Ahmed, Fasih (May 16, 2014). "Ron Moreau (1945-2014)". Newsweek Pakistan. Retrieved June 24, 2014. ^ a b Turse, Exposé. ^ Turse, A My Lai a Month. Former Senator Charles Hagel of Nebraska, later Secretary of Defense, a veteran of the Ninth Infantry, said, "You used that body count, commanding officers did, as the metric and measurement as how successful you were...." Quoted by The Washington Post reporter Patricia Sullivan in a blog posting, "A Vietnam War That Never Ends," August 5, 2009. ^ In a letter to The Nation in 2008, Richard Brummett, who described himself as "a hanger-on at the Newsweek office in Saigon in 1971–72", wrote: "I remember Alex Shimkin concluding from his 'captured documents' that the peak killing hour was the time when school let out every afternoon in the Delta." "Letters," The Nation, December 29, 2008, p. 24, col. 1. ^ Turse, Exposé. Turse reports that Newsweek suppressed a story by Gregory Vistica about the Thanh Phong incident in 1998. It finally became public in 2001 when Vistica published an article in The New York Times Magazine. See Gregory Vistica, "One Awful Night in Thanh Phong," New York Times Magazine, April 25, 2001. Vistica also described the Thanh Phong raid and how the body count was tallied in his book, The Education of Lieutenant Kerrey. St. Martin's Press (Thomas Dunne Books). 2003. pp. 87–97. ISBN 0-312-28547-7. ^ Turse, My Lai and Lockerbie. ^ Knightley, p. 400. Ironically, both the My Lai Massacre and the start of Operation Speedy Express took place during the administration of President Lyndon B. Johnson. ^ Knightley, p. 400. Buckley stated, "There was a flurry of low-level Congressional interest and then it faded." 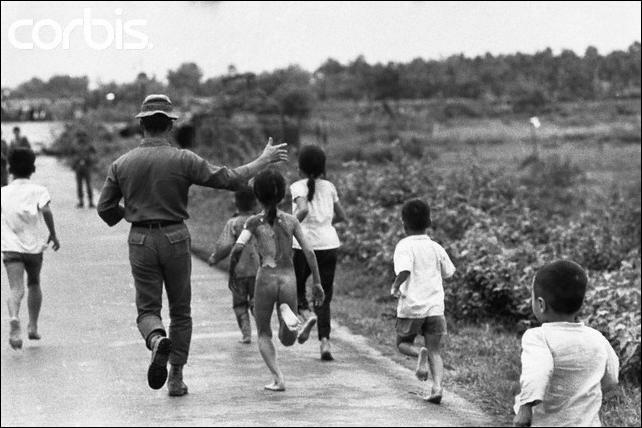 ^ Chong, p. x. Chong also reports that Shimkin was the first of the journalists to run toward the injured after the bombs had fallen. Chong, p. 64. ^ E. Shimkin et al., p. ix. ^ "Top of the Week". Newsweek. LXXX (4): 3. July 24, 1972. ^ The U.S. Army has used the term "Allies" to describe the countries that aided South Vietnam in the war. See Larsen, Stanley; Collins, James (1975). Allied Participation in Vietnam. Vietnam Studies. Washington, D.C.: Department of the Army. OCLC 1119579. Retrieved January 15, 2013. ^ They were near National Route 1A, the "Street Without Joy" of the First Indochina War made famous by Bernard Fall in his book with that title. ^ American Correspondent is Wounded in Vietnam. Huntley described the location as about one-and-a-half miles north of the Our Lady of La Vang church near Quảng Trị City. ^ American Correspondent is Wounded in Vietnam. ^ Huntley. The same article appeared in the Chicago Tribune, July 15, 1972, under the title, "Writer Survives Grenade Attack Behind Red Lines," p. W_B27. ^ Library of Congress: POW/MIA Databases & Documents: Updated Casualty List Reference number 1899-0-01. ^ Grant, Zalin. "The War and I, Part 3". Zalin Grant's Letters from a French Village. Pythia Press. Retrieved November 14, 2012. ^ See Alex Shimkin record, Defense Prisoner of War/Missing Personnel Office. Internet Archive page saved January 12, 2015. Accessed July 29, 2015. ^ Information collected by Mike Benge and Thomas Russell from IVS applications of volunteers who died in Southeast Asia and posted on the web site of Roger Young's Northwest Veterans Newsletter. ^ e.g. John Castell Hopkins and Robert John Renison, Canada at War, 1914-1918: A Record of Heroism and Achievement, Toronto, 1919; Herbert Wrigley Wilson, Ironclads in Action: A Sketch of Naval Warfare from 1855 to 1895, Boston: Little, Brown & Co., 1896; Donald G. F. W. Macintyre, U-boat Killer: Fighting the U-Boats in the Battle of the Atlantic, London: Weidenfeld and Nicolson, 1956 and Walter Birkbeck Wood and Sir James Edward Edmonds, Military history of the Civil War: With special reference to the campaigns of 1864 and 1865, New York: G.P. Putnam's Sons, 1960. The scans of these four volumes include Indiana University Library bookplates identifying them as gifts of Alexander Shimkin. ^ The Arbutus (yearbook), 1969, Indiana University, p. 168. ^ Newseum Journalists Memorial: Alexander Shimkin. This page was last edited on 8 March 2019, at 23:42 (UTC).